At Vinci Hair Clinic, we often hear from male and female hair loss sufferers in Sao Jose Dos Campos who are looking for hair restoration advice and treatment. Some of the most frequent questions are “Where can I find a hair loss specialist in Sao Jose Dos Campos or nearby?”, “What are my options for hair restoration surgery in Sao Jose Dos Campos?” and “Which is the closest Vinci Hair Clinic to Sao Jose Dos Campos?” If you are in Sao Jose Dos Campos and want answers to your hair loss questions, Vinci Hair Clinic would be happy to help. Vinci Hair Clinic is a worldwide network of specialist hair restoration clinics, and over recent years, we have extended our reach throughout Brazil, making our services more accessible than ever before. For anyone seeking a hair loss specialist in Sao Jose Dos Campos, our hair transplant and scalp micropigmentation clinic in Sao Paulo offers an especially convenient option. We are located within the Medic Life Centre in Alphaville, around 1.5 hours from Sao Jose Dos Campos. Hair loss clinic attendees will find that our Sao Paulo facility is equipped with the latest technology from Europe, and offers the same high standards and quality that you’d expect from Vinci. We are dedicated to offering superior solutions to hair loss concerns including male pattern balding, receding hairline, alopecia and scars caused by old hair transplants. 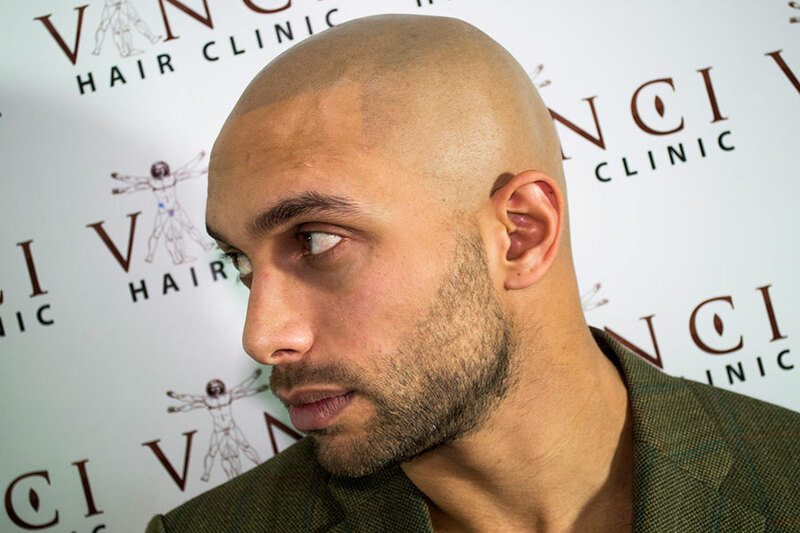 Our state of the art treatments include MSP micro scalp pigmentation, a non-invasive method which allows us to create the illusion of short, shaved hair growth in areas of baldness. We also specialise in hair transplants, both FUT and FUE, as well as our unique Vinci Max for advanced hair loss cases. If you have been thinking about getting scalp pigmentation or hair transplants at a Sao Jose Dos Campos hair loss clinic, we can help you make the right decision about your treatment. We invite you to join our experienced team at Vinci Hair Clinic Sao Paulo for a free and no obligation consultation, including hair loss evaluation and personalised treatment advice. Take your first step towards hair restoration and a confident new you by booking your consultation today. Call Vinci Hair Clinic on 11 41919382 or complete our simple online contact form. Para informações detalhadas, entre em contato com a Vinci Hair Clinic mais próxima e esclareça qualquer dúvida pelo telefone ou simplesmente use o entre em contato com um de nossos especialistas.